Your logo can be engraved on a product your customers will use every day creating top-of-mind awareness. Please call 1-800-856-1949 for details on logo engraving. 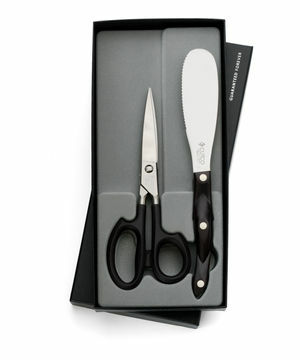 They've earned it, now show them how much you appreciate them with high-quality gifts from Cutco. Motivate your employees with products you know they use and will last forever. 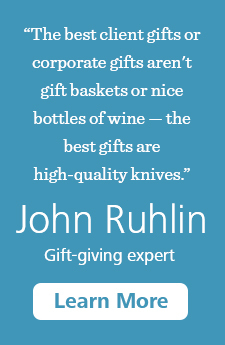 Don't just give them another gift basket this holiday season. Be remembered for your gift. 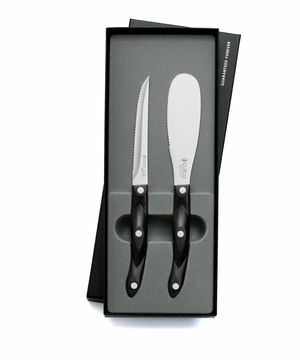 Give your team the gift of Cutco. 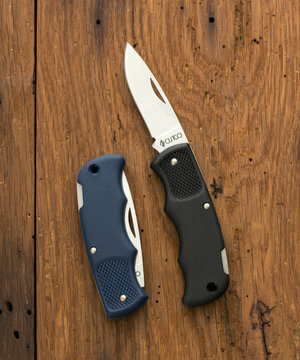 Bestseller $72 This is more than a knife with its wide, flexible blade. 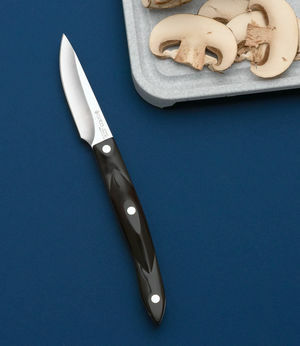 Its an all-in-one tool that mixes, spreads, slices and serves making clean-up easier. Makes a great gift! 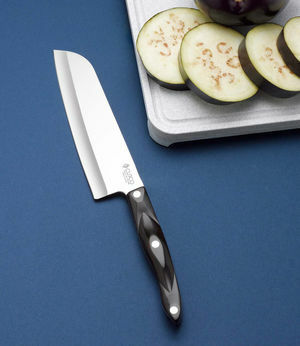 Wide blade is ideal for engraving. 5" blade. 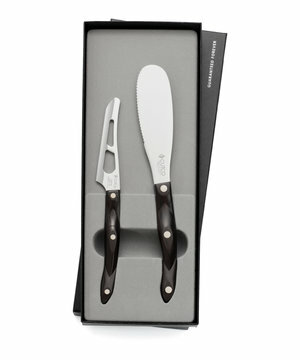 $145 Includes Trimmer and Spatula Spreader. 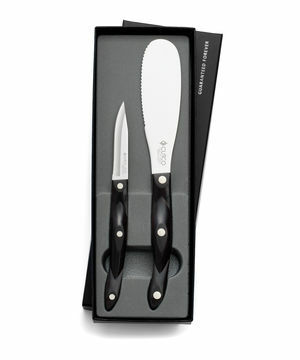 $137 Includes 2-3/4" Paring Knife and Spatula Spreader. 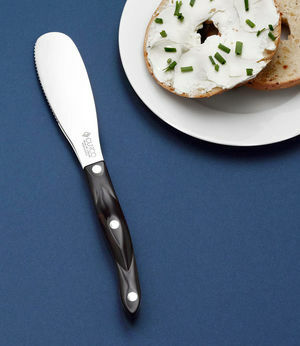 $151 Includes Mini Cheese Knife and Spatula Spreader. 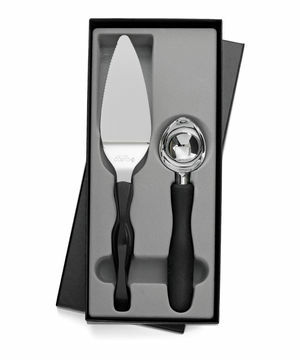 $111 Includes Slice n' Serve and Ice Cream Scoop. Ice Cream Scoop available in black only. 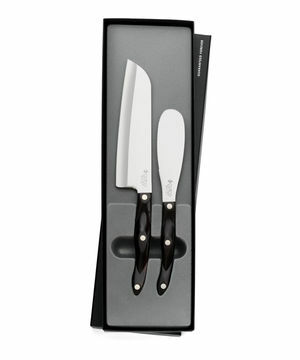 $209 Includes 7" Santoku and Spatula Spreader.